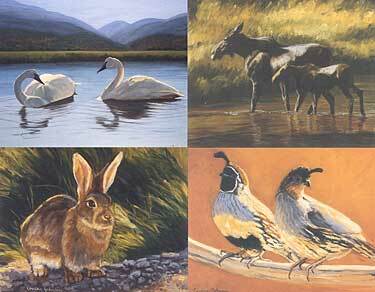 Beautiful selection of six designs featuring rabbit, quail, trumpeter swans, grizzly bear family, moose, and black bear. 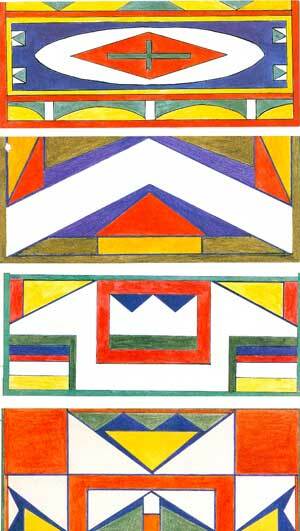 There are twelve blank notecards with envelopes, two of each design. Printed on 100% recycled and 100% post consumer waste paper. Cards measure 6 x 4½ inches. Great (and fun!) set of note cards feature parfleche (painted rawhide) designs from the watercolor collection of Mable Morrow. Mable became one of the leading experts on parfleche designs with her wonderfully illustrated book Indian Rawhide. Rawhide cases were made by Plains and Plateau Indians for storing and transporting personal goods such as clothing, tools, and food. 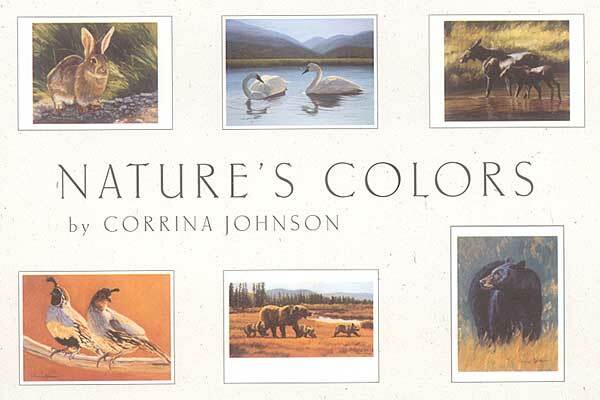 This note card set includes 16 full-color cards (4 each of 4 different patterns) with envelopes. When the card is fully opened, the full pattern can be seen. Here are the four cards (folded so you are only seeing 1/2 the full design).